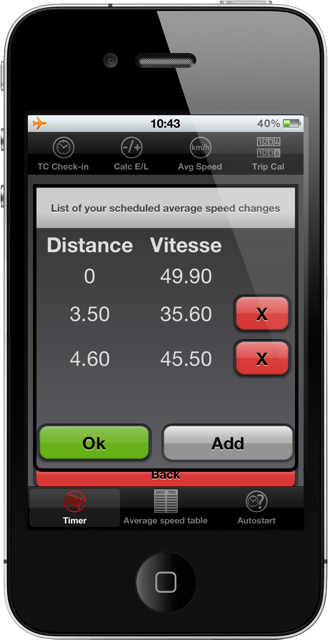 This function allows you to display the distance that you must have crossed since the departure of a regularity test. 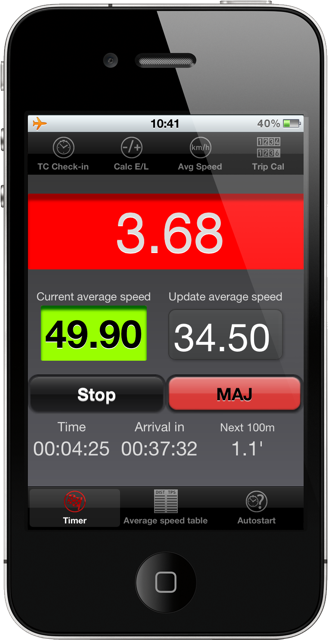 For regularity test without change of average or if you wish to proceed manually to the changes of average. Bip every 100 m (yes or no). 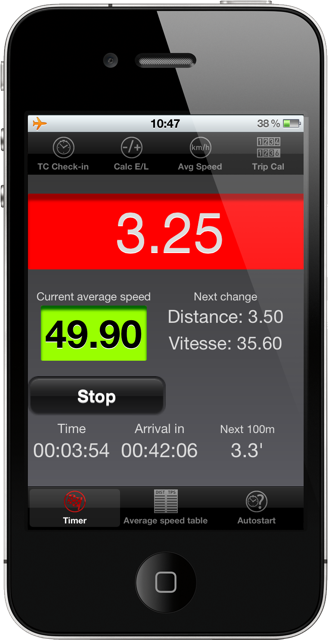 You can enter the data in advance and press on the "validate" button to record this information. When your will be at the start of the regularity test, you to press the « start »button. A field allowing to enter an average in case of change of average in the regularity test. The new average is used only after pressing the « update » button. The « stop » button allows you to stop the function. Time, in seconde et 1/10 second before the next 100m. 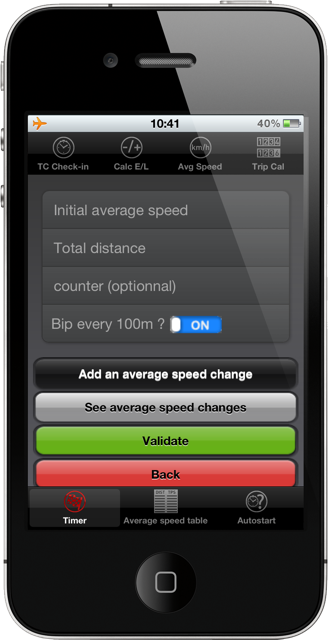 For the regularity test with change of average, you can input beforehand all all the changes of average. The number of change of average is unlimited. 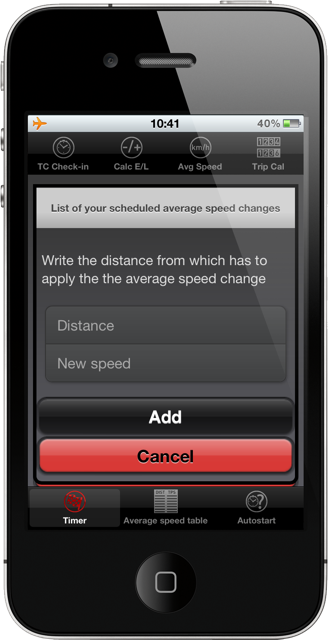 You can see all the average change by clicking on "List of your scheduled average speed changes". On this screen, it’s possible to delete changes which would have by mistake been input and to add it.